Geelong Amateur spoiled Ocean Grove’s fairy-tale end to the season with a hard-fought 11-point win in the Under 19s Division Two Bendigo Bank Cup grand final on Saturday. Final scores Geelong Amateur 12.5 (77) defeated Ocean Grove 10.6 (66). The 2018 season was a big improvement for Ocean Grove after winning two finals following their straight sets elimination in 2017 after grabbing second spot. 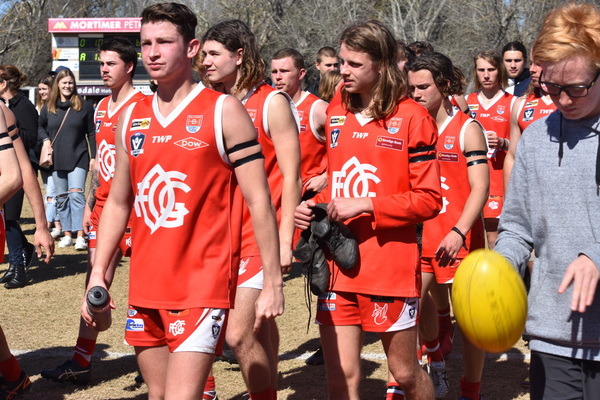 Three Grubber players who played in Saturday’s Under 19s Division 2 decider played seniors for Ocean Grove in 2018 – Harley Pearce, Joe McDonald and Ollie Monteith. The fast finishing Ammos remarkably came from fifth spot to earn a place in this year’s decider after big wins over Barwon Heads, Bell Park and Geelong West Giants. 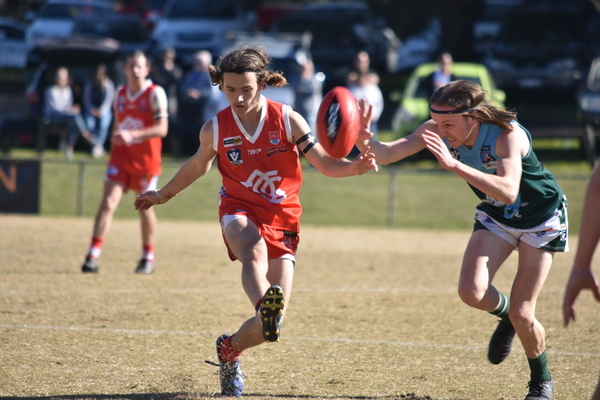 Ocean Grove earned a week’s break after it progressed through to the grand final following its second semi-final win against Geelong West Giants. 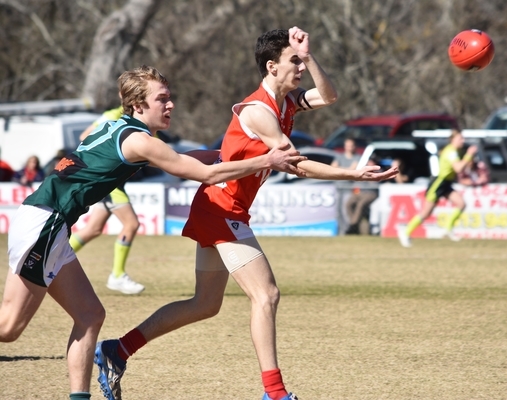 Ammos shot out of the blocks early at Drysdale’s Mortimer Oval and incredibly led the shell-shocked Grubbers by 40 points mid-way through the second quarter. Ocean Grove failed to kick a goal in the first quarter and trailed by 29 points at quarter time. The Grubbers hit back before half time as momentum swung with star pair Max Sutton and Fletcher Long both kicking goals. Ocean Grove was down by 26 points at half time and coach Matt Tyrrell told his players the Ammos’ ball use was far superior on the outside. “They are dangerous on the overlap – when it gets out wide,” Tyrrell said to his players in his half-time address. An inspiring speech from Tyrrell at half time saw Ocean Grove reduce the margin back to three points at three quarter time. Grubber ruck Lachlan Slater was outstanding and won numerous tap outs, while Joe McDonald was impressive with back-to-back goals in the third term. McDonald kicked three majors for the match, while Ocean Grove Under 19s co-captain Harley Pearce booted two goals. Slater almost single-handedly won the game for the Grubbers in the ruck after he was awarded the best on ground medal. Slater capped off a brilliant 2018 finals series and was named Ocean Grove’s best Under 19s player in all of the club’s three finals. Toby Lever was dangerous up forward for Geelong Amateur, finishing with three goals, while Christian Davis slotted through three majors.